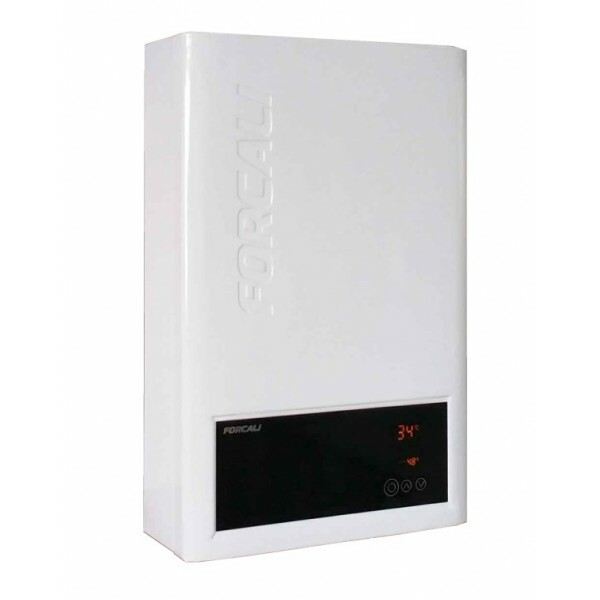 The Forcali FS-12S-GLP is a 12 litre per minute room sealed LPG water heater with electronic ignition. 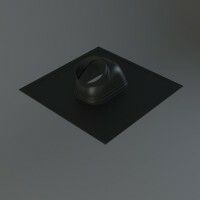 This is a state-of-the-art modern appliance. Room sealed for total safety, it can be fitted in virtually any location, including bath and shower rooms. 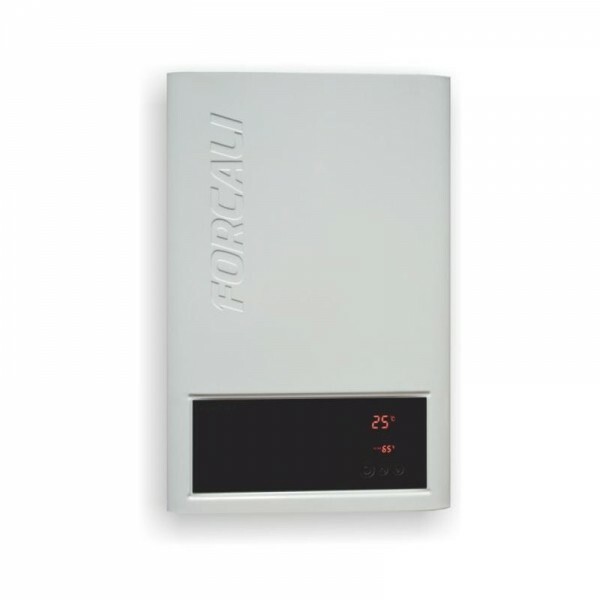 This is an ideal unit to replace the Morco F11 or Widney Slimtronic. It has full electronic ignition (without a pilot light), and can operate on extremely low water pressure and flow rates. Microprocessor control to ensure constant monitoring of water flow and water temperature to deliver safe and efficient water heating with minimal gas consumption This unit runs on 240V and the maximum power consumption is a mere 40 watts, so this appliance can be used on a 12v system with a small inverter, in installations such as narrowboats, horseboxes, log cabins and shepherd huts. The FS-12S-GLP features an LCD display, which shows the temperature of the water being produced and any fault codes. Having one of the smallest footprints on this type of water heater you will have no problem finding a suitable place to install. 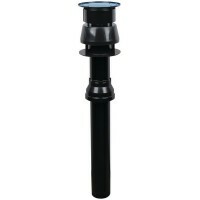 Uses an industry standard horizontal (60/100mm coaxial) flue. 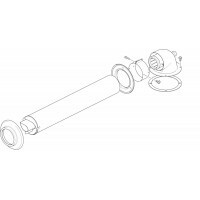 Forcali Horizontal Flue For Room Sealed Water Heater..
Vertical Flue Kit To Fit The Forcali FS-12s-GLP Room Sealed Water HeaterThis kit.. 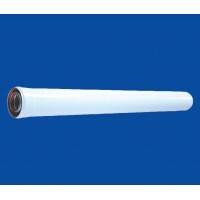 Roof Flashing For Vertical Flue ..
Forcali Flue Extension 500mm for the 12L room sealed water heaterFits both Horiz..
Forcali Flue Extension 1000mm for the 12L room sealed water heaterFits both Hori..